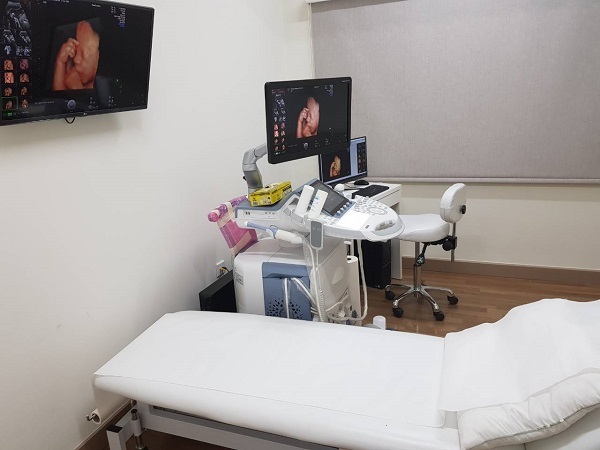 It includes the acquisition of trophoblast (chorionic villus sampling) and amniocentesis and it is performed to detect any chromosomal and genetic anomalies of the fetus. Taking trophoblasts is the examination of placental tissue (chorionic villus sampling). It is based on the fact that the fetus and the placenta come from the same cell line and so the chromosomes found in the placenta cells are the same as those of the fetus. It is done after the 11th week of pregnancy. A local anesthetic is given, and then a thin needle goes through the pregnant patient’s abdomen and a sample of tissue from the placenta (chorionic villi) is taken. During amniocentesis, a small amount of amniotic fluid (15-20ml) is removed, containing cells from the fetus’ skin, which are examined for chromosomal anomalies. The amount of amniotic fluid removed is replaced within a few hours by the fetus’ urine. It is performed after 16 weeks of pregnancy. Both tests are under continuous ultrasound check. After an invasive examination there is a 1% risk of miscarriage.